As official symbols of the University of Houston System, these logotypes cannot be manipulated, modified or appended in any way. They may not be placed next to or combined with any other text, image, logo or any other organization’s logo. Official logos may not be depicted in any other color other than the approved red/grey (depicted below), black, or white options. Official University of Houston System business units may request a new logo suite or an update to a current logo suite by contacting branding@uh.edu. As an official mark of the University of Houston System, the use of the seal is limited for use by the President’s Office and Provost’s Office. Doing so helps retain the seals’ integrity for very official “executive” communications . 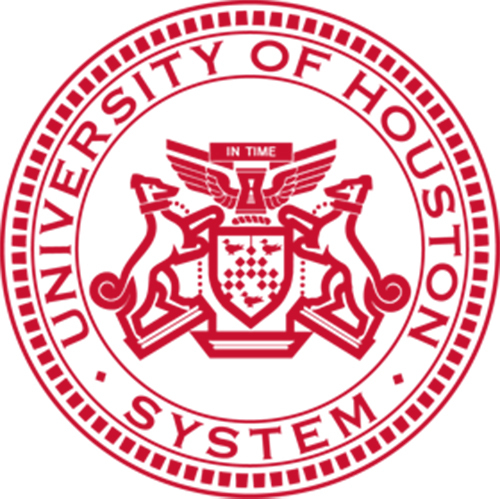 Any University of Houston stationery or materials must use the UHS system logo, not the UHS Seal. If you have any questions, please contact branding@uh.edu.